Order your Boss WL-20 Wireless System from AMS and enjoy 0% Interest Payment Plans, Free Shipping, Free Extended Warranty & 45 Day Money Back Guarantee. 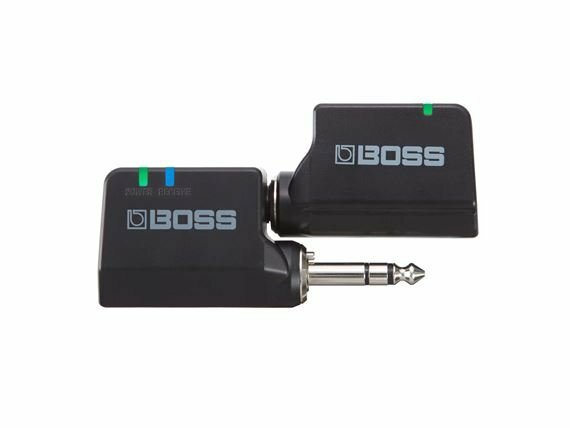 In the WL-20 guitar wireless system, Boss have utilized all of their expertise and technology to deliver a system that provides premium sound and plug-and-play operation! Now players don’t have to put up with the hassles normally associated with bulky wireless systems. Boss first and foremost designed the WL-20 to provide top-grade tone to meet the demands of discerning guitarists. A full charge provides 12 hours of time for the transmitter and 10 hours for the receiver. Equipped with high-performance BOSS wireless technology that debuted in the Katana-Air wireless guitar amp, the WL-20 series delivers exceptional sound quality with wide dynamic range. Working in the 2.4 GHz frequency band, the optimum channel is set automatically to ensure rock-solid audio performance with absolutely no drop-outs. And with ultra-low latency of just 2.3 ms, you’ll always enjoy great playing feel with no lag whatsoever. 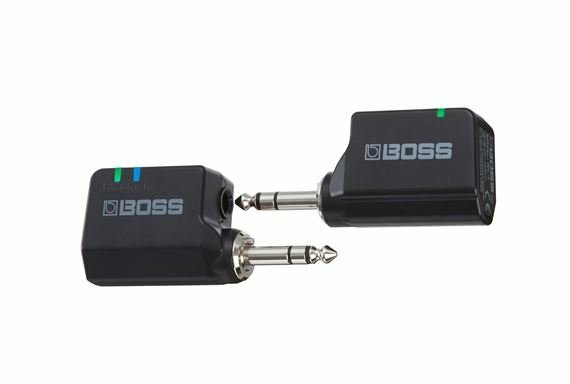 Up to 14 BOSS wireless systems can be used simultaneously in one space, allowing multiple musicians to enjoy wireless freedom at the same time.Environmental conditions may affect the actual number of simultaneous systems available. Easy Charging via USB When docked, the built-in batteries in the transmitter and receiver can be charged together with a standard USB adaptor (5 V/500 mA or higher), the same type used with the latest smartphones and tablets. The transmitter can also be charged separately, and a micro USB cable is included for charging. This is my 3rd different wireless system, and this will be my last. This system is awesome! Very user friendly, 100% cable free, long battery life, and it sounds great. My tone never altered, and it made me more confident move around freely, thus boosting my stage presence. It's very similar to the Line 6 Relay G10, the big difference being the Boss WL-20 doesn't require the charging unit the Line 6 product has. It would have gotten the 5th star if the transmitter(part that plugs into the guitar) was designed to flex at the end of the plug. The best regardless of price. Crystal clear sound transfer over long distances and long, long battery life. Exactly what a guitar player needs to wander- even to the "refreshment area". American Musical Supply stands totally behind everything they sell and with interest free financing and satisfaction guaranteed returns, what else could a change counting, hard working musician ask for- HUH?? AMS is staffed by musicians helping other musicians and guys, I thank you. Great quality and long lasting. Made all my amps cordless. No delay what so ever. Love it. My Grandson loves this product. I don't use it, but my Grandson loves this wireless amp product and has used it constantly ever since he got it at Christmas. It works ok if your in range. Go much more than 50 feet....and it's done. You'd be better off spending a few more bucks and getting a better system. This thing is "GREAT"... Great price, easy to use, works well. I'm so glad I invested in this product. I highly recommend the Boss WL20 !!! Buy one and see for yourself !!! Decent but very flawed. Had to return it. I was very much looking forward to the Boss WL20's. I own the Line 6 Relay G10 but was looking for an even more compact system that didn't use the larger base receiver unit. (The Line 6 G10 works great, by the way). Well, the sound on the WL20 was fine but I had problems with them right away. I noticed drop outs when they were near other RF devices (like another wireless unit from Xvive) - an issue that never occurred with my Line 6. 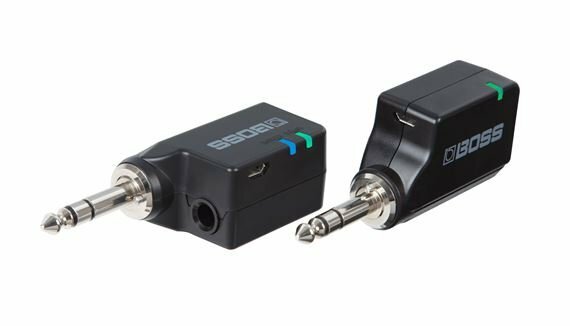 Also, the little switch on the receiver plug, which turns the unit on when inserted, would not work with a number of my pedals. I have two TC Polytune tuners and the unit would not turn on when plugged into either of them. Also, it would not work on the deep offset Ibanez guitar jacks -again, an issue that the Line 6 does not have. So unfortunately, I had to return them and bought a second Line 6 G-10 from AMS. Sorry Boss - you need to fix those issues. And as for the Line 6 G-10 - amazing tone and works great - that one I'll keep for sure. I was actually taking a chance on this item. But the convenience it provided gave me just the freedom I was hoping for. I am truly satisfied.